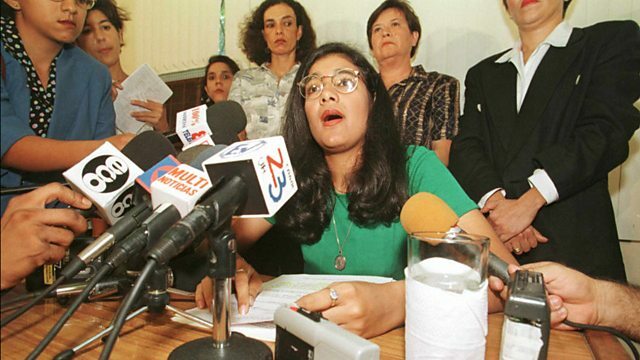 Zoilamérica Narváez shocked Nicaragua in March 1998 with public accusations of child sexual abuse against the country's revolutionary leader, her step-father Daniel Ortega. In March 1998 Zoilamérica Narváez publicly accused her step-father, Nicaragua's revolutionary leader, Daniel Ortega of having sexually abused her since she was a child. The 31-year-old Narváez said that the abuse had continued for almost twenty years. Ortega, who was re-elected as Nicaragua's president for a third consecutive term in 2016, has consistently denied the accusations. Mike Lanchin has been speaking to Zoilamérica Narváez about her disturbing story.